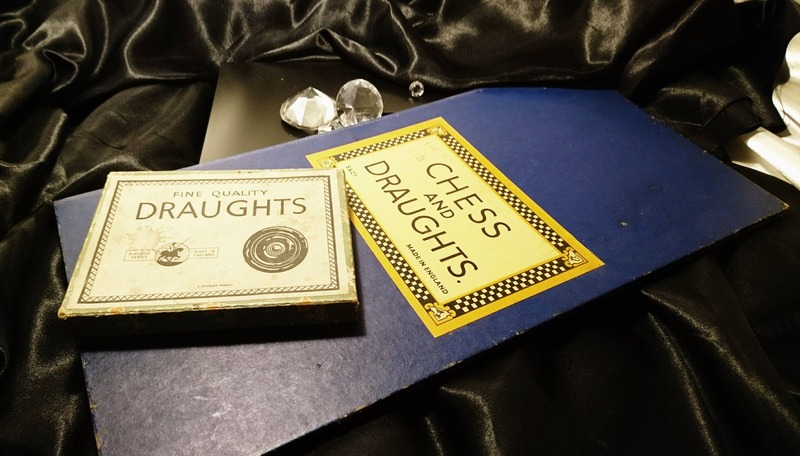 A fab vintage set of crystalite draughts by St George, Imperial make along with an accompanying S & Co draughts / chess board. 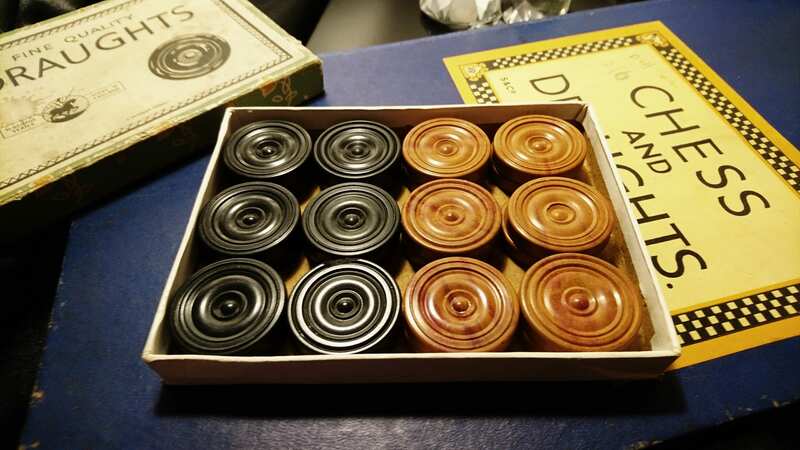 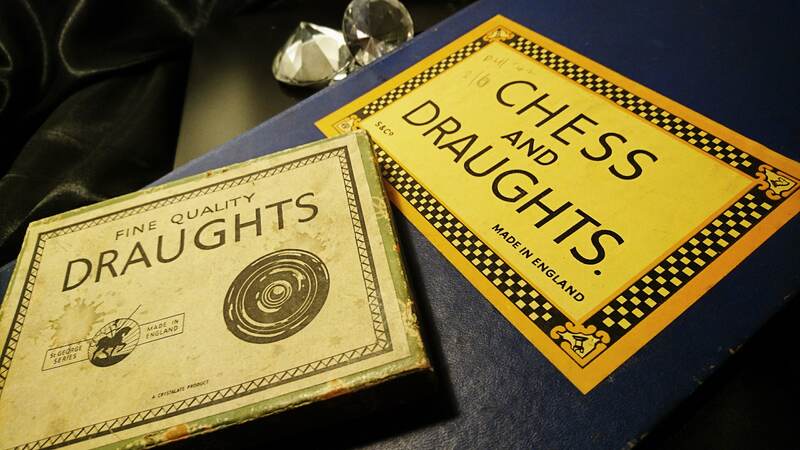 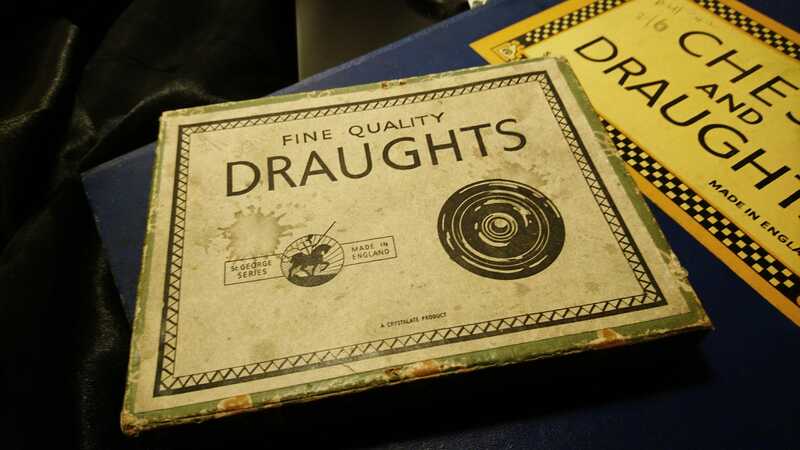 The draughts come in the original box and are in excellent vintage condition, the box shows some wear. 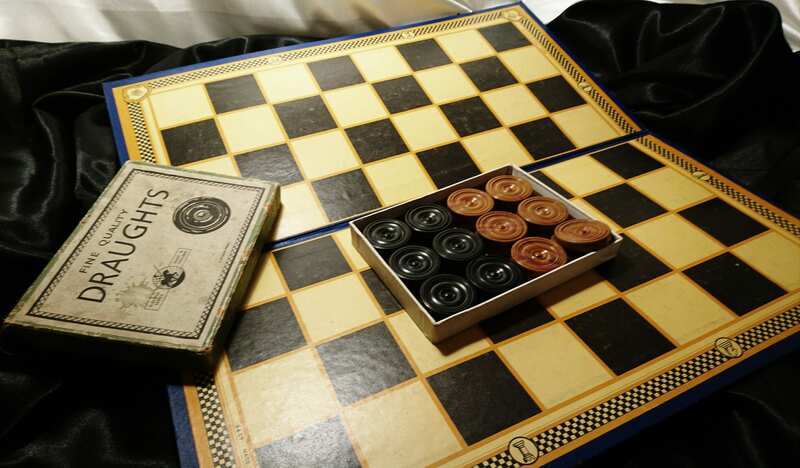 The board shows signs of wear but is still usable.